Straight from a storybook, our handcrafted Santa Rosa Canopy Bed offers a timeless style and natural warmth will make a statement as the heart of any bedroom suite. Handcrafted from solid hardwood, this heirloom quality bed is ready for a lifetime of use and will provide a beautiful piece to hand down for generations to come. As the main feature of this beautiful bed, a four post head design stands 79 1/4" tall, connected with pieces of solid hardwood to form a beautiful canopy - stunning by itself or adorned with a beautiful drape, to achieve the perfect look. Connecting the two, solid wood side rails run from the front to back, connected in between with a wooden slat system that is sure to offer maximum stability and support to your mattress and boxspring. The simple Shaker inspired design is versatile enough for any decor. 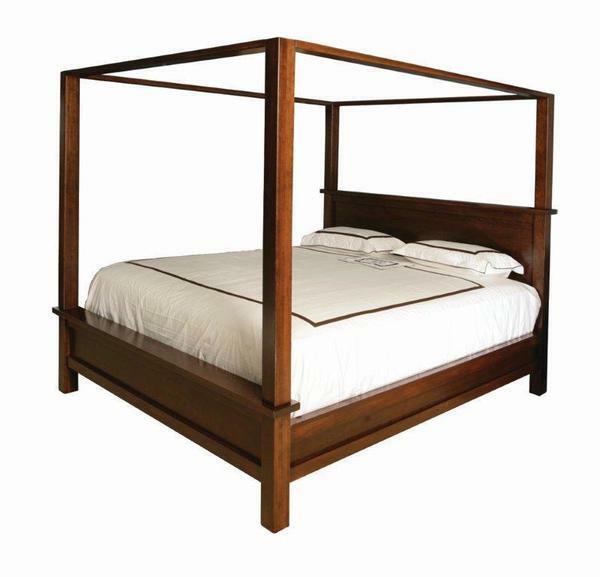 Available in an array of sizes, hardwoods, and finish options, this beautiful canopy bed can easily be included in any bedroom suite. Customize yours today and your new bed will be bench built, just for you.